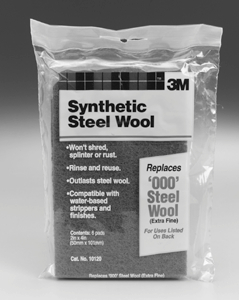 Combination of synthetic fibers and abrasive particles that work like steel wool. Easier on hands, resist clogging, and can be rinsed and reused. Will not shred, splinter or rust. Outlasts regular steel wool.